If you think the only way to win on Facebook is by mastering cat memes, you’re wrong. 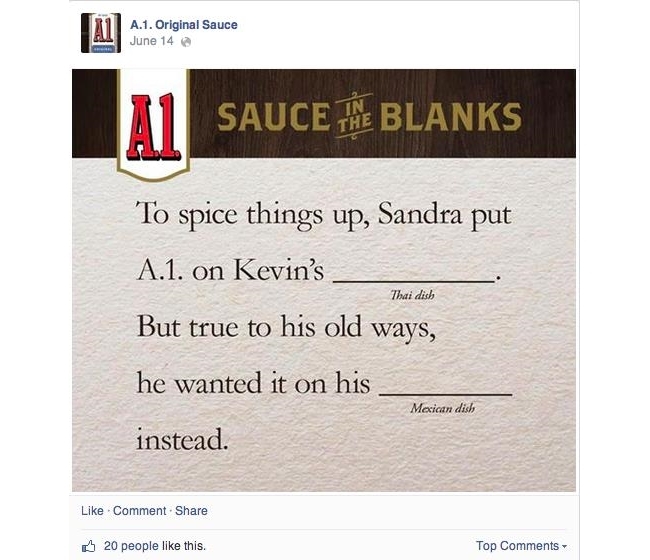 Although many believe writing is a dead art online (thanks to content mills), at least one company is proving that misguided mentality wrong with an advertising campaign that hinges on clever, creative copy: A.1. Original Sauce. Asking questions is a typical recommendation you’ll find on lists offering free digital strategy, but just asking a question can be pretty disappointing — and make your page look pretty lame — if you don’t get any replies. Unfortunately, this happens more often than not. Why? Well, consider for a moment the kind of questions you answer on Facebook. Unless you’re a troll, you’re probably pretty selective — who has the time to answer every silly question posted on Facebook? And most of the questions require a thoughtful response, like, “How do you do X and why?,” or, “Do you have ideas on such and such topic?” Lame. The best questions are unexpected and kind of don’t even ask a question — they leave it open just in case no one answers. And the questions at the tippity top of that question pyramid are witty and give people the chance to show how clever they are, like this one from A.1., posted above. Wouldn’t you answer that, even though it isn’t a question? Sure you would. Bet you want to answer it now. Actual questions that work well are those that offer unexpected observations and (again) note that they don’t actually ask for answers, using a rhetorical structure that doesn’t require a response (but encourages sharing). And this all kicked off thanks to its clever video creatively mocking how we all misuse Facebook’s relationship status. We think it will remind you of some situations you’ve witnessed on “the book” — yes? 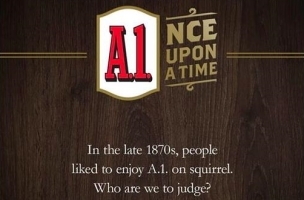 Post by A.1. Original Sauce. 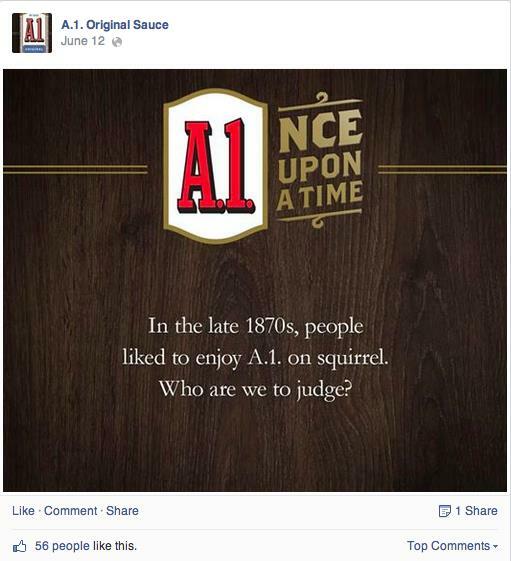 Brands on Facebook: How are you creatively advertising on the social network? And if you’re not, you should be. Murray Newlands is an entrepreneur, business advisor, and online-marketing professional. In 2013, he founded TheMail.com. He is a columnist for Entrepreneur.